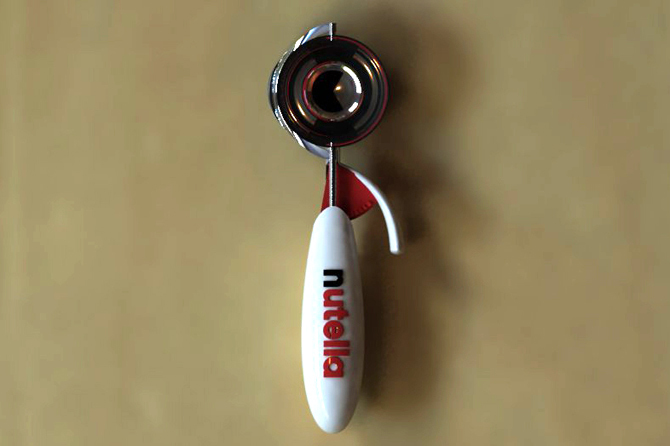 Gnammy balls is a piece of homeware designed for making delicious balls of fruit and Nutella or icecream. 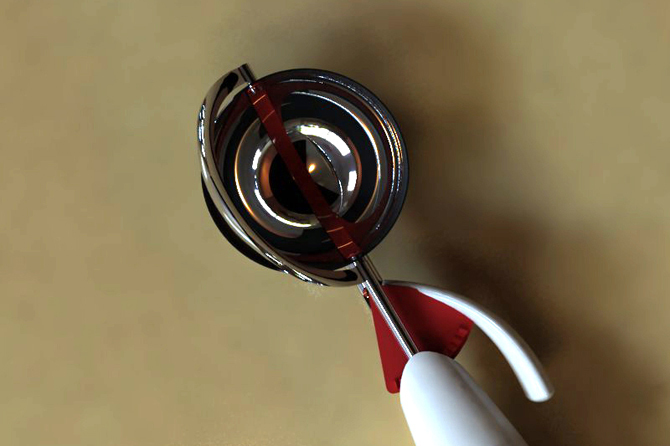 An ergonomic handle and a plastic/steel mechanism makes it washable by hand as well as being suitable for the dishwasher. while the outer one encases the fruit in a layer of Nutella (left to right). The design of the product aims to enhance the enjoyment of fruit combined with hazelnut cream through three easy flicks, making the preparation enjoyable and playful. Gnammy balls is designed for preparing snacks for children at home as well as for ice-cream shops who want to offer new combinations of flavours.